edition of You Are the Mother of All Mothers ? The 5th Edition Tribute Page is now officially OPEN! Please share far and wide. Once you’ve paid your spot will be officially reserved for the 5th edition of You Are the Mother of All Mothers. 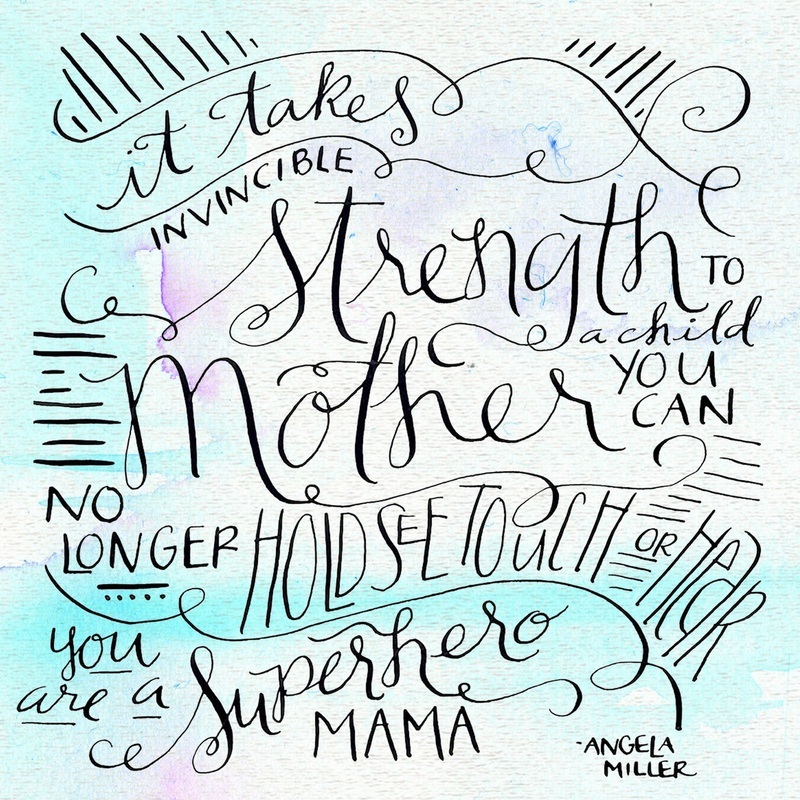 This makes a wonderful surprise gift for any loss mom! And it makes an incredible gift for yourself. The total cost is $135 USD, which includes one memorial name on the gorgeous Tribute Page (28 characters or less, spaces etc included) + two gorgeous 5th edition books. Ships worldwide. Price is firm. Every dollar of your purchase goes directly towards the print run, and a percentage of 5th edition books will be donated to child loss non-profits worldwide. 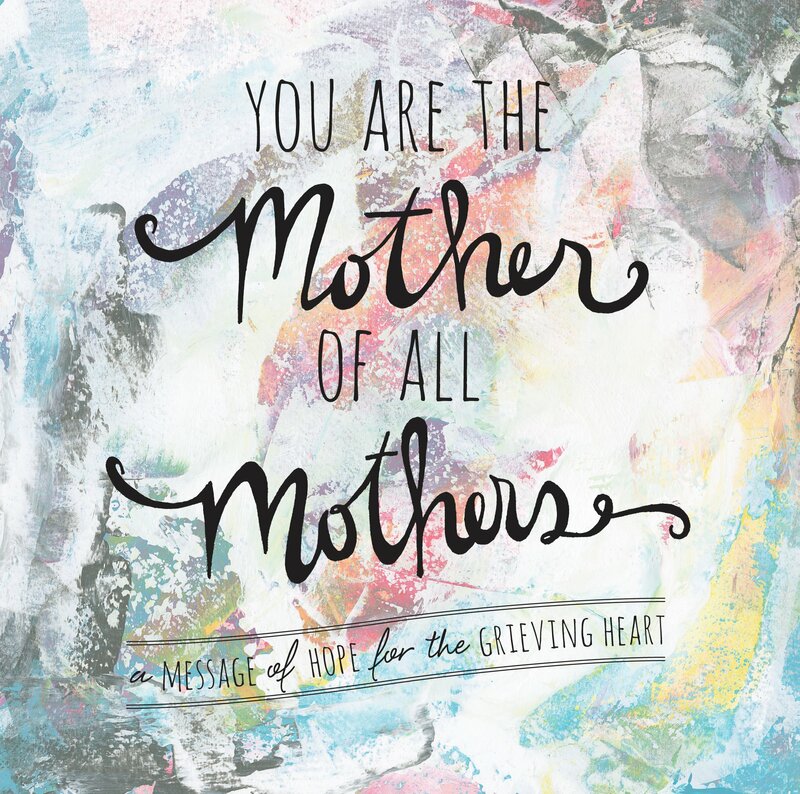 To date since June 2014 You Are the Mother of All Mothers has comforted the hearts of over 7,000 moms and counting around the world. We’ve had the privilege of honoring almost 400 precious children gone too soon in the first four editions of this gorgeous book. Each print run we open the Tribute Page so we can honor more children. This is such a healing way to have your child honored and remembered. It has brought comfort and healing to countless families. Each print run includes 2,200+ books that will be distributed worldwide. This book is going places, and your child will be remembered everywhere it goes. Makes a wonderful gift for a friend or loved one this holiday season! with the subject [5th Tribute Page]. My 22 yr old daughter died in a car accident in Mexico on June 13 1984. My 2nd child of 5. 16 months later my 16 yr. Old son took his own life. My daughter Vickilyn shared the same BIRTHDAY OF May 1 and that day has never been joyful for me since she died. My son was also born in May. I am wrapping my arms around you now to send you a bit of peace and love. I struggle with why God let’s these bad things happen? But they do and I hope you can find the strength to carry on for the rest of your family. I tell myself I do not want to dishonor my son, he would be beside himself if he were the cause of my own ‘breaking’. I want to honor him so I am forcing myself to continue expanding the canvas of my life. I want to live extra for my boy, it’s all I can do for him now. My love and prayers for peace are with you. Very very motivating and Inspirational. I loss my Dearest Son Ché Chilon Anthony Mc Into shape to murder on July 11th 2006. I think of him everyday. My grief will be forever. I had 3 heart surgeries and a stroke on May 17th. But I am determined to Live and Love. 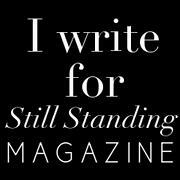 Thank You for allowing me to write. Nancy Katherine Miler August 6 1974-September 24 1974 Born with heart defects 9lb 9oz seemingly healthy baby had her home five weeks then hospitalized for two weeks Died on the operating table. Miss my sweet baby girl! I lost my son, Christopher Hartnett, in an automobile accident January 3, 2015. I still wonder how I was chosen to be the mother of such a wonderful human being. Heaven was ready for him, but we were not ready for him to leave. I love you, and will forever, Chris. Please can I reply to Laurie Twist. Our son Burry Stander was killed on the 3 January 2013. He was out doing a training ride on his bicycle, when he was hit by a reckless Minibus Taxi driver in Shelly Beach, Kwazulu Natal, South Africa in front of our Cycle Shop. I pass the turn off to his house daily, I pass on the road where he was killed 5 times a week. Will never be able to accept, that he is gone forever. My 45 year old son died October 4, 2015 while at work with the SC DOT during floods in Columbia, SC. He was reported missing at 10:30 AM, confirmed drowned in his work truck while on the job at 8:19 PM. I think of him, grieve for him, love him every day. I honor my son Seth Daniel Gunn May 11, 1996 to March 5, 2015. He was struck by a car when he left us. His smile like no other is the light we all see. Seth is and ALWAYS will be loved and missed not only be me but by my other 3, his twin Rykkaela, and 2 little brothers, Jacob and Jeshaiah. Thank You for letting me share my Love for my son, Seth. My 30 year old son, Vince, died suddenly due to a pulmonary embolism just 7 months ago. I miss him deeply every second of every day. He was the best person and loved by many. He was my sweet baby and I will never be the same, I will grieve and miss him forever. I cannot believe how said “friends” have disappeared or avoid us or think that we will miraculously be healed by counseling. So heartbroken. Thanks for listening. We lost our 22 yr old son April 12 2010. He was the 3rd child out of 6. He was also the oldest boy, with only 1 other boy who is the youngest and was 9 at the time. He was our daredevil, wild child, who was always the life of the party. I didn’t understand why he wanted to do everything so young. He was married at 18 and had two kids by age 20. I couldn’t have known that he would not be able to do it later. It has been the most devastating experience of my life. About a week after he died someone told us to take all his pictures down and put everything about him away. Just like he never existed. I told them they were crazy. I need to see his face, I need to talk about him, because I will never forget him and I don’t want anyone else too. Although, my husband and I have handled it differently, we will always be Josh’s parents and he will always be our son. Life will never be the same. We will never be the same, and neither will his brother and 4 sisters. It seems like we have lived 2 different lives. One before Josh died, and a different one after losing him. It is not something you ever “Get Over”. Much love and Prayers to all of you as we walk this same journey of heartbreak. I was living in Gulf Shores Alabama when I got the call that I needed to come on that my son had been in a Accident. I remember asking my mother is he ok is he alive she answered with you just come home.I went and got my husband off his job and we came back to the condo he was on the phone and I was sitting looking out the window watching the ocean that day I saw several dolphins jumping then I felt it overpower me my heart hurt so bad and I remember feeling so empty I looked up and told my husband he is gone I feel it,Dan looked at me and said no Helen think positive I said I know he is I feel it .Whom ever was on the phone told him he had passed.I knew it Jason was in a boat picking up decoys for a man at Reelfoot Lake and the boat capsized Jason and a Friend were the only two out on lake they both had vest on but it was Jan.the 18th 1999,Jason passed Hypothermia the other young man lived he had frostbite on both hands and feet.It is in my heart that God was ready for Jason ,RIP Jason Kyle Bradshaw 08 23 75 to 01 18 1999. Miss you ever second,Budden here on Earth to Bloom in Heaven..
Helen, I just came across this thing on face book. A friend from my Bunco group recently lost her daughter and has been posting a lot of grief info. As I was reading the comments, I came across yours and thought of my son, Greg. He drowned (Hypothermia) in May of 1995. 21 going on 22 years ago now. When my husband and I got that fateful call I knew the minute he answered the phone that SNunday afternoon, that our son was had died. I lost my beautiful 23 year old daughter 11 days ago, I don’t believe that the pain will ever end. It just hurts so much. i lost my lovely daughter Teresa to a brain aneurysm, she to was an organ donor. it was the hardest thing to leave the hospital. her body was still warm and she was beautiful and i didnt want to leave her there. little did i know that just three short years later i would lose my only other child. i lost my sweet Andrea to a heroin overdose. my girls were only 34 and 26. i have a beautiful little granddaughter that gives me a lot of joy. she is 8 now and every time i see her little face i see Andrea too. GOD was good to at least leave me a little girl to love. and that i do. i love her more than i love myself. its been 10 years for Teresa and 7 years for Andrea and it DOES NOT get easier. i pray that god will comfort the hearts of every parent who has lost a child. I lost my 20 year old daughter 2 months ago. I feel I can’t go on anymore. The pain is so deep. I lost my son just 2 days before yours. I hope with my whole heart you are ok. My thoughts and prayers are with you. There are just no adequate words. Every day a memory comes to mind, something I had thought of in a long time and I’ll say to myself, ‘oh yeah, I forgot about that.’ And I’ll feel whatever emotion is connected to that memory and I’ll wish I could go back to my past self and tell her…”cherish this moment, hug him tight, you don’t know what is coming.” I still just can’t believe he is gone. I talk to him all the time. I wish I had words that would help give you strength. The only thing I know is that God loves me and my son and you and your sweet child. Peace that surpasses understanding… that’s a passage in the Bible. As much s I seek it, there are still so many days that it is out of my reach. Intuitively, and for no easily explicable reason, I know God has plan for me and my son, and a measure of good will be found. I walk in two worlds… this one, and the one where my son lives. God bless you, sweet soul. And may Christ’s peace be with you. We lost our dear Ben on August 10, 2012 to a motorcycle accident at the age of 23. Not only do we miss everthing about him, we are to go on with life each day, missing a significant piece of what made it complete. I alway’s say, if you can survive the loss of a child, you can survive anything in this world. I could only hope to leave a portion of the Legacy our Ben left behind on this earth. The people he touched, and the love of all those who had the pleasure of knowing him. I do not know the pain of losing a child; but I do suffer the pain of loss. 1 year 17 days after our wedding; i lost my husband in a car accident. I was 8 weeks pregnant with our only child. Through this experience, I have learned many of the same things you so wonderfully say above. I see this holds true with my in laws as well. After reading your piece I have realized there couldn’t be a harder loss then that of a child; at any age. I am sorry for your loss; and to all who have suffered such tragedy. My in laws are two of the most amazing people I have ever met. They helped me through my pregnancy the birth of my son and the first 2 and 1/2 years; and still everyday. I am truly blessed to have them in my life! so sorry for your loss it is. a difficult one. I lost my husband when he was 30 car accident it was awful I had 3 boys. Ages 3. 5. And 7. I thought that that was the worse pain ever till I lost my son. at 29. I lost my son, Kevin, May 24, 2015. The police came to my door at 6:15 to tell me “Your son is dead”. What? He had left me a message to meet him early that fateful Sunday. I was going to meet him less than an hour from the time I received the news. It has been the most difficult time, each day harder than the one before. Kev passed in his sleep after an “accidental methadone intoxication”. My love for him will never fade. My three daughters are grieving in their own way. Kev, you are forever in my heart. Hi Wendy….. Can you contact me please , as your story sounds similar to mine that occurred 2 months ago? Just not sure I can or want to go on. I am so sorry for your loss. My name is Susan and my birthday is July 24, 1953. We lost our 33 year old son on September 23, 2015, and I would like to say it has been the most difficult life changing event that one can ever experience. Now that several weeks have gone by since Christopher’s passing, I have learned so much about what’s important in life, and I can tell you #1 is spending more quality time with your loved ones, trust me in this it is definitely good therapy for the weary!! I would like to share this very special poem that I was somehow strong enough to recite at Christopher’s service (I think he came through my voice and my Angel gave me the strength). So now when I get sad, I just read the poem it is my message from my angel, and it puts a smile on my face. RIP my sweet angel, we miss you every day !!!! And that’s where they will stay……….. Please believe in your heart, your husband will be with you every step of the way. You will forever see signs and have moments when you know he is there and watching over you, his precious child and all who love him. God Bless all of you. Dear Ones, Its been 10 years since my beautiful son Sage passed over. I did feel comfortless for a while. “Because he is My son too.” Came the immediate reply. I feel my sons presence with me and he helps me everyday. I see his smiling face, and feel his brilliant love. Experiencing him as my Guardian Angel has allowed me to carry on. I can hear him. One particularly difficult day he told me that when I am missing him the most, he is right here next to me, trying to communicate with me. Knowing that he will greet me when my time has come, has helped restore joy and hope in my heart. Thank you for writing words that I feel in my heart but could never put into words. I lost my Son and now he knows that I miss him more each day. My Son has been gone three years this 11/19. He was an organ donor and I have been blessed to know the recipient of his heart. It’s comforting to know that part of him lives on. I lost my son Troy Allen Coble on Nov. 2, 1989 which was three weeks before his 22 nd birthday on the 28th of Nov. Troy is gone longer then I had him here on earth!!! 26 years it has been this Nov. 2, 2015!!! NOT a day goes by that I do not think of him and miss him!!! He died in a car accident!!! I have the pain every day of a broken heart!!! 11 Years ago on 11/11 at 11:00 A.M. My son TREVER SCOTT LEE, was called back to our real home in heaven. I had 23 years and 4 months of raising the kindest, gentlest, sweetest, smartest most handsome soul to walk the face of this earth. For that I am eternally grateful. Trever went to Heaven on 11/11 at 11 A.M. (Same Date & Time the Treaty to end WWI was signed). War ended. Peace reined. TREVER was the biggest PEACE MAKER you would ever want to meet! Trever’s friends describe him as: …”Awesome, Amazing, Inspiring. A True Gentleman With A Dazzling Smile And A Big Bear Hug For Everyone He Meets”… I’d say that description fits him quite well!!! Trever helped so many people while he was here on earth and he continues to help others today. He helps students attend college with the endowed TREVER LEE MEMORIAL SCHOLARSHIP at the University Of Nebraska At Omaha, College Of Business Administration for students interested in Investment Sciences. Trever had attended UNO and at the young age of 23 had his own investment company, MIDAS INVESTMENTS. The recipients of Trever’s Scholarship are always so grateful and we have many nice Thank You letters from each recipient. There is SO much more to TREVER’S STORY, but I will sum it up by saying TREVER is the definition of a TRUE HERO. He is my SON, my STRENGTH, my WORLD. His continued SIGNS keep me going and I could not be PROUDER of him. I love you TREVER SCOTT CHARLES LEE, to the moon and back and for infinity and beyond! I lost my son Joshua Augustine Barbara when he was only 17 just beginning his life. I think of him everyday and night , He will always live in my heart and forever be my son, no matter that I can’t see him everyday I talk to him each night, tell him I love him and miss him which no matter how many years pass by I still hang all his homemade ornaments on the Xmas tree. Their is no love as true and blessed as a mothers love for her child. I have felt guilty for years after after he went home to be with the Lord thought what had I done wrong or what I could have done different to have saved him. I have accepted that it was Gods plan to take him home. I have joined a group called compassionate friends which has helped me. I pray he knows you much he was and will always be my little not. I lost my son, Brandon Wayne Robinson 9 days before his 30th birthday 12/5/13, he was a Marine with PTSD, I have read 100s of books on grieving a child and nothing has hit it on the head like Angela Miller, my gosh its like me right from my heart, if only I could write so beautifully, I feel such a connection, Thank You Angela for for making me feel Normal, not like a fish out of water!! My son “BJ” life was taken on April 18 2014.Just turned 21 years-old. I was looking forward to him taken off as the man he desired to be. Have a family wife and children. But that night someone decided to pull out a gun and take his life away from us.Not thinking of his family or friends that would be left alone, in pain,and full of grief. My only son that I prayed for, enjoyed for 21years -4 months- 7 Days. A gentle giant, sweet,calm,cool, and collected. Never saw Evil in anyone.He was one that could see good on the worst of the worst person. Always wanted to turn a frown unto a smile.Whenever, I was upset ,he would get in my face an rub noses with me and I forget why I was even upset. Such a lovable person .I was honored to be his Mommy, He kept the Peace. He’s so missed.We can tell that he’s not hear because we’re trying to set a tone he set when he was here,now we feel alone. I know he meet his maker on the other side,proud,and wish that he wouldn’t have died. I have tried so many times to describe how I feel, but it all comes out wrong, there is so much going on inside me that one emotion runs right into the next leaving me with no way to explain how I feel because I feel so much pain, rage, anger, guilt, depression, sorrow, and loss all the time. My daughter was taken from me a year ago December 22nd 2014, in a cold calculated, senseless act, she was murdered by a jealous ex-boyfriend. He shot her in the back of the head, he couldn’t even look her in the eyes, and at times I have wondered, does she even know she is dead? My sweet Cortny Huffman was 30 years old and has 2 beautiful daughters, ages 11 and 6. They have been relocated to their fathers, so in a sense I have lost them too. Cortny was attending college for her teaching degree, she loved children and it showed, she was amazing to watch with them, so much spirit and understanding. I can not believe that she is gone, I look for her, I still try to shop for her, especially here at Christmas time. she was so beautiful, she did some modeling, she was so easy to buy for, anything looked good on her. I have friends tell me to let her go, “get over it “, I have too many pictures out. I have been accused of not paying attention to my remaining son, who I love with all my heart and cherish every second of the day! My mind will never let her get too far from me and my heart will keep her warm forever, and no one can tell me anything about loving my children, because it is the only thing that keeps me alive from day to day. This is exactly how I feel. My daughter 20 years old and absolutely stunning. It was emotions over a break up. I just have no desire to go on. In the early hours of October 31st 2012 there was a knock on the door that would change my life forever. My husband opened the door, I was at the top of the stairs, I saw my father, he stumbled and had to hold on to the shoe rack, he didn’t look up the stairs just at the floor. Then he said the words “Ben is dead” I fell to the floor and made a noise like a howl from the pit of my stomach. I had never felt an emotion, pain like it it was almost primal. Ben was loved by everyone he met. They had to put speakers out to the road so many hundreds of people came, I honoured his final wishes for his funeral, I wore his favorite tshirt. People flew in from round the world. I wrote his service, I didn’t want someone who didn’t know him to write something from half an hour speaking to me, I wanted it to be meaningful, to tell what a beautiful young man he was, how he helped the homeless and animals, how when we were on holiday when he was 10 he freed all the lobsters from the hotel restaurant and caused chaos. At his wake some people I had never met said they had only met Ben a few times but once was enough to fall in love with the gentle, kind, smiling, funny young boy and man. He was very special and my first born. I didn’t do very well, till the inquest I could not think why Ben would hang himself, nobody could, not happy Ben. It turned out to be a broken heart. The girl had hidden the truth but when his phone was returned we saw the hundreds of texts begging her to come home. His last was take anything I have that you want. She had 24 hours of frantic texts but chose not to tell. Her brothers were 2 of his best friends but she did not tell anyone how desperate he was getting. 2 years on I was diagnosed with PTSD and tried to do the same to be with him. 3 months in hospital 60 therapy sessions and truck loads of medication. I don’t want to die now but I want him back. I shout at the sky “give him back, he is mine” I will never feel ok again. I wear a mask for my other children I have learnt a fake smile but alone my jaw is clenched my face is flat and fixed. He took the me that was, with him. I am not angry at him, suicide is not a choice it is done when no other solution to the pain can be found. I will love and miss his hugs, kisses, voice, beautiful face, huge blue eyes, his smile, his respect for his mum and protectiveness, his antics, his amazing laugh forever. Same. I feel exactly the same as you! My daughter devastated over a break up. It’s only been 2 months but I feel I can’t live with this deep deep ugly pain. I lost my son Diego, who was a twin on August 8th 2014, his brother survived at 2 pounds and remained in the NICU for 2.5 months. The pain and sorrow doesn’t and will never go away, love will never go away. I see his brother and wonder how they would have played together and how he would have been here on Earth. I had several matching outfits for my sons. One in particular, I blue suit that I hold on to. 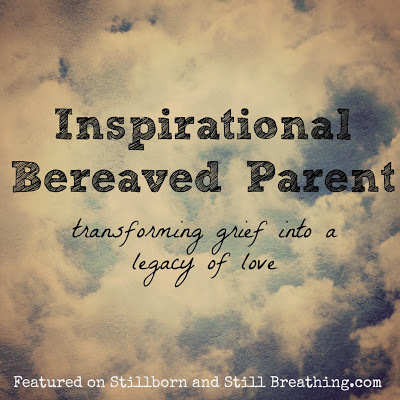 A complete and utter void, but a ray of hope to help other grieving parents on this journey. Praying for peace. It helps to read everyone’s comments as we’ve all become members of this terrible group. My beautiful daughter Nikki Lynn Hart was murdered on 12/16/12 my life has never been right since… I try and keep my chin up mostly for my other children but when im alone I cry I cry not just for me but I cry for Nikki for her loose her not being able to watch her two tiny daughters. grow they were 2&1 when they’re father killed her they are now 4&5 they look like her they have traits just like her so when I spend time with them it’s bitter sweet I love them to pieces but when I leave to drive home I cry all the way thinking about all that Nikki is missing and how much I miss her and how I wish I had told her more often how proud I was of her. I just know my life will never ever be the same because a chunk of my heart was destroyed the day she was murdered. My husband and I lost our beautiful twenty nine year daughter Scharlie Anne five days before her birthday to suicide. I hear the gunshot everyday at 12:05, I still feel myself running outside and screaming her name. Finding her lying on the cold ground. She was our one and only, our reason for living. All due to cyber bullying through text on an Apple phone that is so secure it could not be opened because we didn’t know her code. Please be aware of this and make sure at least someone you know you can trust have that code. There will be no justice for my daughter because we cannot retrieve the evidence. Sadly these people get to keep their lives, their family intact. I will not get to see my daughter married or have children that we all so deeply wanted to love and snuggle and carry on our family. I have my husband. I have my father. Who will be the last one here to have to endure the hurt and loneliness. I am scared of the future. Thank you for your lovely book and the healing it provides me. Thank you for letting me write about her. It hurts to think that no one will ever speak our names when we are gone. At least someone can read her name and know she was here. My only child, Ryan Lynn Hollinger was taken from this world in a single car accident on 5/23/1997. He was gloriously alive as many years (18), as he has been dead. I still long for him. I have survived; at times with grace and a borrowed calm, other times I couldn’t care less if I survive or not. There have been many days when the “I couldn’t care less” feeling is my only feeling along with indifference to everything good and apathy towards life and those who love me. I’m not me without my son… Depression has been my constant companion with very little reprieve over the years. I have learned how to exist in my life, but I have not learned how to live my life without my beautiful son. He was the best, the most precious, unselfish thing I have ever done and I can’t duplicate that. I lost my son twenty three years ago in a car wreck. He was 14. I just lost my 16 yr old grandson June 18,2016 he died in his sleep. I am so heartbroken. My son Christopher died in an auto accident on Jan 3, 2015. He would have been 45 on Feb. 1, 2015. I pray that you can find peace. I lost my only son on his 16th Birthday, August 13, 1986. He passed his Driver’s License that morning and died in an automobile accident that same evening. This changed my life forever. Even though almost 30 years have passed, I still think of him daily, the grandchildren that I will never see, the joy of watching him grow into a man and the memories that will never be. I lost so much that terrible day. I have come to terms with my loss but I still love and miss him terribly. He will always live in my heart. With God’s love I am able to look towards the future. We lost our wonderful son, Erik J Mears 06/27/2013 a few months before his 31st birthday. The loss is unbearable and every day reminds me of so many things about him. I cannot watch older movies or listen to music. It reminds me of a time we had our son with us. I do not speak to or cry in front of my husband, he is going through his own grieving and I do not want to add to his sadness. I am very lucky as we lean on each other just cannot discuss Erik’s death and our loss. I have three daughters who miss their brother very much as they were his other mothers as they were 10 and 7 1/2 at the time he was born. Erik was our surprise package from God and we were only allowed to have him on earth for, to us, not enough time. I had my heart in four pieces for each one of my children and now one piece has been ripped away. No I will never be the same ever and really do not intend to be. My grieving will always be forever. My loving beautiful Gentle Giant, Wyatt Anthony Savaikie, just 14 was taken suddenly and without warning in July 2015. He had been through so much in his short life because I had been very sick for the last 6 years of his little life with three cancer surgeries, spine surgeries, Lyme disease of the central nervous system. He was our youngest child of three. I cried each time our two other children graduated, thinking how grateful I was to live long enough to see them graduate and start their own life journey. Our middle child graduated less then two months before our son was taken. We had seen our middle child, our son get dressed up for the prom, his first girlfriend, we and including Wyatt sat at our middle sons graduation. I silently cried tears of being there to see him graduate, as Wyatt, my daughter, husband and family set at the graduation, at the end was a post-death graduation certificate and a young girls story about having her life taken as a pedestrian hit by a car. Wyatt always felt for the underdog and had such tremendous love in his heart. He said, how sad the story was. So in July 2015, after I returned home from physical therapy Wyatt came and set with me for a half an hour or so, he spoke about how excited he was about high school, about fixing up an old, old flatbed VW my husband had, I shared how he could not wait until he was old enough to date, he had met a sweet young girl and said she had become his best friend. Then he said he was going to go to the gym, that he and his older brother Ryan who loved working out had explained to Wyatt that once working out became a daily habit, Wyatt would love how good it feels, so Wyatt said, I want to start taking this more seriously and make it a good habit for the rest of my life. He got ready to leave and as always, I said be careful honey, I love you. And as always, he replied I love you Mom and left. I had gone out to tell my older son Ryan how proud I was of him for encouraging his little brother. Soon Ryan left, soon I heard a helicopter, I walked outside it was over our house and then just took off. Our backyard backs up to a busy street and near a fire department. I walked out front, my first thought as a mother was, oh my God both of my boys are not home, they had both crossed that street but at different times. Then the phone rang, my older son, I will never forget Ryan’s voice, the sound of his voice, I had never heard desperation of any kind come out of his mouth. Mom, Mom please look in Wyatt’s room, our world changed that day. Wyatt was hit by a Red-light driver, Wyatt had gotten the green light to walk, he stepped out and out of no where a speeding man, at 62 miles an our, way over the speed limit, hit my beautiful son so hard he threw him into a utility pole 30 feet away. My sweet, sweet child of mine, the baby of our family. How could it be? Wyatt had been given the name, the Gentle Giant by an elementary school teacher, always, always so much taller and stronger then his peers, he was the most beautiful young man, the kind of toddlers that other mommies just had to cozy up to and love on and that never changed, He had a smile that brightened everyones day, His giant size and strength he never used to bully anyone, his stunning beautiful outer self he never owned, he never realized how stunning he was. At his services the girls, oh my goodness the girls, they adored Wyatt and as his Vice Principle said at his services – Wyatt was known as the hottie on campus. This sweet child of mine was truly stunning but he was even more beautiful on the inside then he was on the outside. Boys, young men, girls, young women poured in and out of our house for days, standing room only in our home, the same story seemed to be told from each child, Wyatt was my best friend, Wyatt had everyone’s back, Wyatt stood up against bullies even when he did not know the child being bullied, mothers telling me that Wyatt was their hero for reaching out to some children that had disabilities and bringing them into his good group of friends, so many others spoke about how he was the one they called when life was tough. They spoke about that smile, those beautiful blue eyes, his laughter, so many shared how they remembered the first time they ever laid eyes on him and how infectious his smile was, that even his eyes seemed to smile. He was a gift to the world, in spite of seeing his mom go through one major surgery after another, no one would have ever known what this little man had been going through, oh my God, its still so hard for me to believe, how could God take a child that protected everyone, a child that reached out to the disabled, a child that encouraged his friends to try and try again, so many stories. He was my Gentle Giant and a reckless driver took his life along the streets of Santa Clarita Valley, a northern suburb of Los Angeles just a few months after our city took down the Red-Light Traffic Cameras because a few residents went to city council to complain about their tickets, His loss is so senseless, he left here on his way to the gym last July, there has not been one day, not one single day that I wish it had been me instead, how unjust,, how unfair, at 14 not into drugs, not off to war, not in law enforcement, did not have a dangerous job, he just dared to cross a street. The only way I can live is to try to keep his memory alive, to try and get our city to reduce the speed limits that do not leave pedestrians a chance of surviving – a city without enough enforcement to monitor so many dangerous open roads. I regret waking up each day, its so hard to face this loss, this unjust, this innocent child of mine. Time has not healed a single thing, its been over a year and I have lived in emotional distress a numbness because the reality is far to great to take and I love him and I miss him and life without Wyatt just does not seem real, my mind knows its true but my heart cannot take it, the man that hit him was charged, a 1000 fine for killing someone – 10 days in jail – I think that there is no way – we can get people to drive safely when the consequences for playing Russian Roulette with their car as their weapon and take a life and only get a slap on the hand. My son is gone. Sitting here and just gone. While this is not a site for fighting to change laws, I just have to say, that we need to stop calling every pedestrian loss of life an accident, sometimes they are horrible unavoidable accidents, but it is not an accident when drivers speed, when drivers run through red lights, when drivers fail to yield to pedestrians in a marked crosswalk. These are not simple accidents – they are not accidents – they are bullies on our roads – my child protected children from bullies, who in the heck is going to start protecting the bullies on our roads and streets. I love my son, I miss him and I am so sorry for everyone on this site that has lost someone they love. The love for and from my children is the most beautiful love I have ever known in my life and its so hard to rise each day without my Gentle Giant. Analiah Grace Quesada born January 11,2016 healthy 6.1 lbs. I lost her on February 25,2016 to SIDS. I don’t know how I survive each day but I manage to wake up another day. I am 215 days of survival 💖💗💖💗💖💗💖💗💖💗 my sweet Angel! I lost my 26-year old daughter on September 4, 2016 due to cystic fibrosis. The last 2-3 years of her life were so hard and she never felt well. I know she is so much better now, but selfishly I want her to be home with me. Even knowing all her life, that this day could come, I just could not let my mind go there. When it happened I felt there was so much unsaid, even though her last words to me were, “I love you the most” right before they put her on a ventilator. The pain I have felt and am still feeling is nothing like anything I have ever experienced in my life. I still can’t let myself believe that she is never coming home. To kiss, to hold, to rock you to sleep. Allowed your bodies to rest. Many a heart, especially mine. Remember our love as if we were one. Our only child Robert Richard Ashbaugh III was murdered on Saturday night at 11:15, May 28 2016. He just finished his jr year of high school. He just turned 18. He was so good at running distance he was getting college offers. I had gone over to his friends house to tell him something since he hadnt responded to my text. What i found destroyed me. I had to go home and tell his sweet mom. We are both broken for life. We had nothing before him. Now we are nothing we want. We just want our robert back. Our handsome six three broadshouldered happy boy. Stolen from us by a jealous grown man who chose to shoot our boy right in the heart. My gray hair will go down to my grave with sorrow. My life was wrapped up in the lad’s. Only two weeks from your 24th birthday. Forever 23; forever with me. Aaron 7.8.89 – 6.16.13 you were my very best friend and I miss you every minute of every day. I couldn’t breathe without you here. I lost my son Samuel Troy Hamilton on 9/12/1991, 4 days before my birthday! I still cry for him every day! They could not tell me why my son died, he just drop dead,and that was it! I lost my beautiful daughter Lauren in a car accident, April 20,2016. She is 26 years old. My heart is broken. 1 Year, 4 Months, & 2 Days since my son got in trouble and tried to run away. I chased after him into a neighbor’s back yard when he stopped turned, faced me and shot himself with a gun that he got from his friend. He left behind his older sister, younger brother and sister, and baby sister that will now have to grow up never knowing her oldest brother. The next punch in the gut came when the friend, who was like a daughter to us, stole the gun from her mother and gave it to him didn’t get anything more than a slap on the wrist and went on with her life like nothing happened while we of course had to try and deal with the fallout of losing not 1, but 2 children. It kills me more than anything every time I see her or her mother. I want justice for what she did, but I know it won’t bring Nathan back to us. his organ knowing that is what my son would have wanted his sister and i planed the funeral and said are last god bye to the most amazing son ,brother ,friend anybody could have ask for!!!! I miss him so much its like part of me went with him. sSo sad at 20 to have your life taken from you .I was so angry at god and i just dont know how to go on with out him anymore. But i have a daughter that needs me know and i have to try go on but it is very hard. Ive been in and out of the hospital for the last two month for depression and suical, i just need to find the strenth with in me to go on!!!! for ever on my mind for ever in my heart… I love you Bryce. all the way to heaven and back!!!!!!! I need help from other mother on how to deal with the death of my son!!! I wish I could find help myself, I know my friends have tryed but they dont understand unless your a mom or dad in this place, how could they know..may God help you through this..I’ll say a prayer..
Joey Jeff John Joseph Stott ! I can’t say how devastating it’s been trying to live and exist without our you.